Imphal, Nov 12 : A powerful local committee on Sunday said it would enforce the inner line permit system (ILP) in Manipur on its own from November 19 if the state government failed to implement it to restrict entry of outsiders in the state. Addressing mediapersons here, Joy Chingakham, a spokesman of the Joint Committee On Inner Line Permit System (JCILPS), said the committee would issue a form for Rs 50 from November 19 and every outsider with proper police verification report and domicile certificate from their respective states should submit it by December 19. He said mobilisation campaign to bring awareness over the increasing influx, which is affecting the demographical structure of the state, would begin from today by the JCILPS by holding public meetings, discussion etc. He said people of Manipur were not against people from outside the state but there should be some system to protect identity, culture and tradition of the original inhabitants. Chingakham said persons coming to Manipur to study, as tourists, for business, for short-term stay and other purposes would be given permit according to the purpose of their visit. He claimed that non-Manipuris who had come here for different purposes were "involved in several crimes as per official records". The effort of the JCILPS was to enable people of different communities to live harmoniously, he said. Official sources said the state government had passed a resolution recommending implementation of inner line permit system in the state, but the case was still pending with the central government. Sources said the government has stepped up security at all border points in the state to check entry of illegal migrants. 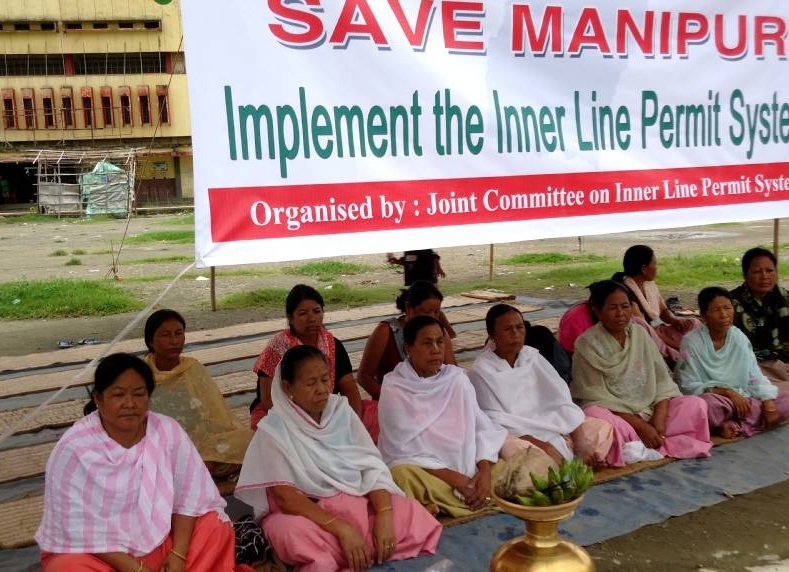 JCILPS spokesman said non-Manipuris who have come here as daily wage earners, labourers, or business purpose have outnumbered the total tribal population of Manipur. JCILPS was formed by some major social organisations including Federation of Regional Indigenous People's Development Society.